Where would you want to go on your dream road trip? I’ve been contemplating where I’d go if someone gave me a a car and free gas to drive wherever I wanted. I’ve narrowed it down to three scenic drives that I’d love to travel on. 1. Sea to Sky Highway in British Columbia: It runs about 150 km from Horseshoe Bay in Vancouver to past Whistler, BC. Along the way, take in breathtaking views of the mountains, lakes, fjords and more. I’ve only been to BC once years ago and was blown away by the jaw-dropping scenery. 2. Cabot Trail in Nova Scotia: We lived in NS for five years and unfortunately never had the opportunity to drive the Cabot Trail. It’s a 300 km trail in Cape Breton and is famous for its views of the Gulf of St. Lawrence and Atlantic Ocean. 3. 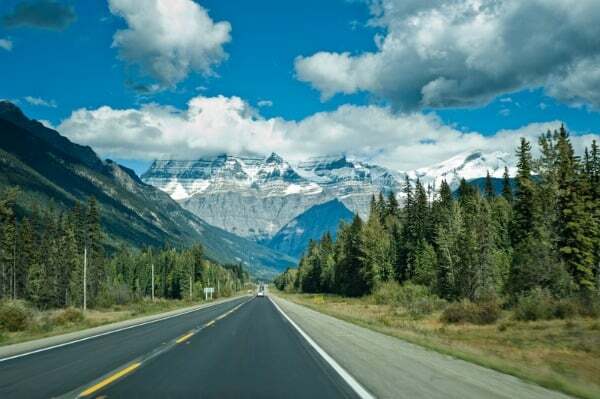 The Icefields Parkway in Alberta: I drove the Icefields Parkway when Bridget was a baby and have been wanting to return since. It runs between Banff and Jasper National Parks and is parallel to the Continental Divide . You are are right in the middle of the Rockies and and all the beautiful glacial lakes. There are even giant glaciers and you can walk on the Columbia Icefield glacier! I never had a chance to do that because I had to wait in the car with Bridget. It was freezing there even in the middle of August! I would take a family road trip to the Black Hills.